Materiaal deuren: MDF ultra mat gelakt. Deuren met een afgeschuinde kant als handgreep (2,8 meter hoog). In uw eigen woorden: Tomas is a very serious and hard working young man, he understands very well and very fast what the customer needs, he comes with good suggestions and he keeps the deadlines. 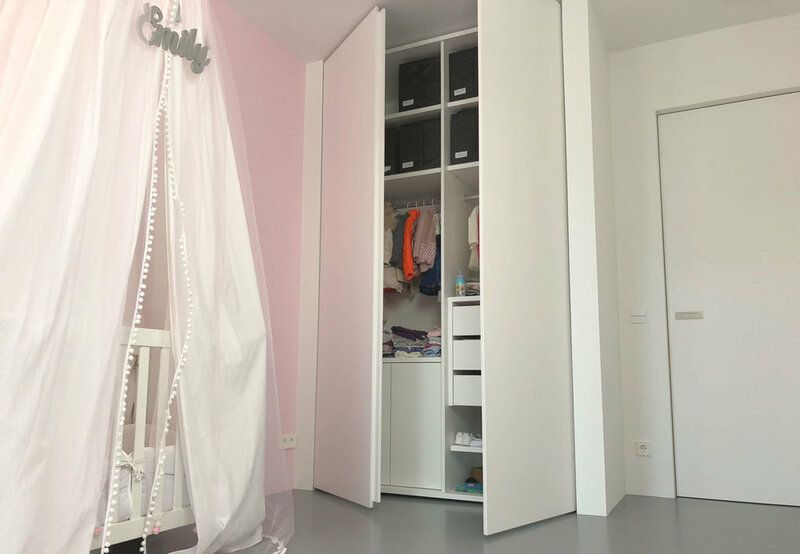 We are very picky and we had a big project with Tomas, he delivered to us 4 extra big wardrobes and three smaller ones, the doors are perfectly painted in extra mat white paint, we are really happy with the minimalistic look of our house now. We will definitely work with Tomas again and recommend him to friends.